Every day, thousands of people across the country are involved in auto accidents. Some are minor fender benders, while others are high-impact collisions. But, what they both have in common is that the spine takes a beating regardless of the speed you’re traveling when the accident occurs, albeit, the more severe the accident, the more severe the potential for injury.This may have you wondering – why is the neck and spine so vulnerable to injury? 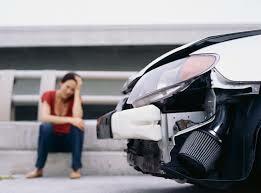 Taking a closer look at what happens during an auto accident will give us the answer. If you have suffered an auto accident injury, contact us! Think for a moment about those car commercials where they talk about the car’s safety record. Remember the scene where the car crashes into the wall? What happens to the crash test dummies? The car abruptly stops, but the bodies inside the car continue moving forward, halted only by the air bag and their seatbelts, which engage and pull the dummies back. In a severe auto accident, the entire body goes through a snapping motion that can cause a host of different injuries to your cervical (neck) vertebrae, including fractures. Even in cases where fractures don’t occur, the sheer violence of the tension, rotation, extension, and flexion can result in a painful condition commonly known as whiplash. But, don’t think that the neck is the only part of the body subject to injury in an accident. Because the forces caused in an accident can subject a body’s facet joints, muscles, ligaments, soft tissues, and spinal vertebrae to undergo enormous pressures, a wide variety of injuries can occur all throughout the body. When your spinal disks are already slightly degenerated as a result of aging, all it takes is a little bit of extra pressure for them to become herniated. One of the biggest problems with auto accidents is that the injuries they cause are sometimes not even noticeable until days after the collision. This is because the body’s muscles tense up naturally during the crash and the body’s natural adrenaline kicks in to help manage any pain. But, once the adrenaline wears off; the true impact of the injury starts setting in. Today’s chiropractors are highly trained in helping victims of auto accidents manage their musculoskeletal pain using a wide variety of chiropractic techniques, including spinal manipulation, traction, physiotherapy, kinesiology, and more. Chiropractors can teach you exercises to help heal your muscles and tendons from an auto accident injury Wilmington NC and they can help alleviate your pain so you can heal faster and more effectively. And, unlike traditional medicine, which only masks the pain instead of treating it, chiropractic care treats the actual cause of the pain, thus resulting in long-term relief. Suffer an Auto Accident Injury Wilmington NC? Call Southeastern Today! If you recently suffered an auto accident injury Wilmington NC and you’re experiencing ongoing pain as a result, call Southeastern Chiropractic today at 910-202-4341. We are here for you. Our chiropractic team can help you manage your pain naturally and effectively. Discover for yourself the difference that safe and effective chiropractic care can make. With six locations throughout the Wilmington area, we have an office conveniently close to you.